Daniel is a fierce, playful, and kind youth. Daniel is very creative and outgoing. 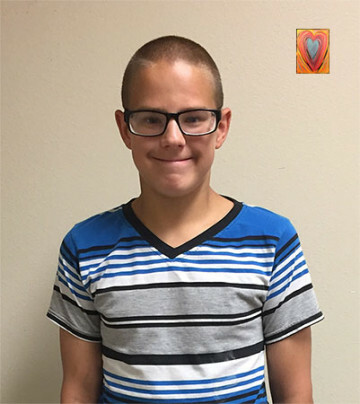 He enjoys spending his time playing with Legos and playing computer and video games. While he enjoys playing indoors with technology, he also enjoys taking his creative mind outdoors with imaginary play. Daniel loves to interact and play with others, but he needs consistent guidance express his emotions and making appropriate decisions when those around are making poor choices. Daniel's creativity extends to the classroom as well and his favorite subject is art. He also enjoys P.E. and science. Daniel does well in school with guidance and support. He wishes to someday have internet access and a phone. Daniel is diagnosed with Autism Spectrum Disorderand will benefit from consistent supportive services. Visit me at the Heart Gallery of North East Texas. Daniel will reach his highest potential in a family that is very structured and stable. A family that has a creative spirit and is able to provide extracurricular activities to promote positive social interaction, will best suit him. Daniel's forever parents will provide a consistent and structured daily routine, as well as offering assistance to help him utilize his coping mechanisms and positive social interactions. Daniel's family will have knowledge of or be willing to learn about autism to be able to give Daniel the guidance, services, and support he will need to grow and flourish in their family. His forever parents will be able to access resources that will help him achieve his potential. Daniel needs a family who is open to continued contact with his sibling.